In a fictional Central American dictatorship, based on Guatemala of Asturias‘s youth, the military’s highest ranking general is early one morning murdered in the street by a mentally ill beggar. The president takes the opportunity to pin the murder on another highranking general, suspected of plotting a revolution, and it sets off a chain of events that reaches into every fabric of society. The story is in The President told sporadically from a number of different perspectives, which could easily have turned out erratic and difficult to follow, but it works seamlessly and the here very subtle hints of Asturias’s magical realism ends up feeling more real than reality itself. As a result the reader efficiently gets provided with a glimpse into what it’s like to live in a dictatorship where absolutely anyone at any given time can find themselves inescapably beneath the bootheel of a law that is always “righteous” by definition, except a president who is unconditionally above it, and a terrifying understanding of how a people, out of fear, essentially can oppress itself simply by constantly autocorrecting the “truth” into whatever suits the president best for the moment. The President is however not quite as focused and consistent in its voice, and therefore not quite as excellent and captivating, as for instance Men of Maize but it’s a very strong, passionately angry, early effort from an eventual Nobel laureate. Michael K was born with a hare lip and his mother, not liking the sight of him, sent him to an institution for orphaned, unwanted and unmanageable boys where he was raised. Now a grown up in a war torn South Africa he lives by himself in Cape Town and works as a gardener at a local park, his only developed social relationship being that with his now elderly mother. Michael’s mother has worked all her life as a housekeeper for wealthy families and is now, of too bad and fragile health to perform her former duties, allowed a small room to lodge in and kept alive by the last family she worked for. When her street gets evacuated and Michael’s mother is left behind forgotten Michael builds a one-seat pushcart out of his bike and sets off with her out of the city towards the countryside and the farm where she was born and wishes to die. ‘What happens in times of war to those who don’t fit the narrow mold for people of use or interest to the war? What happens to the homeless, the sick, the old and the cripplingly poor? What happens in a war to all those who don’t have a stake in the fight and before the war broke out were minding their own business with their hands full just staying alive?”. Coetzee’s prose is poetic in its simplicity yet powerfully understated and the story is told with a rare sense of empathy that manages to stare the most primitive and animalistic aspects of human nature dead in the face without mock, fright or condescension. The result is a strangely uplifting experience in all it’s dark and brutal honesty. I’m getting into a bit of a habit of writing book reviews on Goodreads. So if you’re interested to know what I think about some other authors’ work this place right here will now be the place to be. 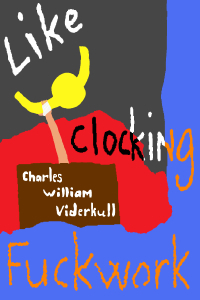 My novella Like Clocking Fuckwork is now available also through Amazon and the Kindle Store. You can find it here. and I’ll send you a free copy. I didn’t plan on doing book tips or reviews on this blog, but I stumbled across this book recently and since it’s not very well known (anymore) I wanted to spread the word about it. It’s worth a read. Niels Klim’s Journey Under the Ground; being a narrative of his wonderful descent to the subterranean lands; together with an account of the sensible animals and trees inhabiting the planet Nazar and the Firmament. as is the mouthful of a full title, was written by Ludvig Holberg (or Louis Holberg as he is referred to in english translations) and published in 1741. Holberg was a Norwegian professor at the university of Copenhagen in Denmark, teaching theology, history, metaphysics, latin and french, among other things, and as a writer he published works spanning a number of fields and subjects, including european history and philosophy, and wrote popular satirical poetry and comedies for the theatre. The also satirical Niels Klim was his only novel which he wrote in latin and published in Germany, worried about how some of its content would be received in Denmark. Somewhat ironically this gave it a considerably wider circulation than what would have been the case had he published it in Denmark and translations in several other european languages (including danish) was published already the same year. Today the novel is mainly considered part of literary history in its capacity as one of the very first science fiction and fantasy novels, and specifically one of the first using the hollow earth concept, and I approached it with little expectation other than curiosity for an historical artifact. But, as I found, it’s worth reading for entirely different reasons that caused me to want to recommend it. These reasons relate to the ideas expressed and the subject matter dealt with being rather interesting, not only considering when it was published but on more general and timeless terms. But first things first. What is the book about? It tells of an empire of intelligent trees that operates as a democratic intellectual meritocracy where no consideration is taken to either class, gender or rank in the appointment to offices, and where the act of claiming knowledge about the divine being or its will is a crime punished by incarceration in a mental institution because it’s not only foolish but dangerous for everybody, including oneself, to think one knows things that nobody can possibly know. It tells of a land with an abundance of riches where everybody is wealthy but miserable, consumed with jealousy and trying to steal from one another. It tells of a land inhabited entirely by prominent philosophers that has fallen into a pitiful state of disrepair because all they do is think and nothing practical ever gets done. It tells of a land where everyone is stupid, ignorant and perfectly happy but where nothing of note has ever been achieved because of a lack of ambition and imagination. It tells of a land where the gender roles are the complete opposite of the historic norm in european cultures. among a lot of other things. One section is spent satirizing Holberg’s contemporary Europe, and its empires and nations. Niels Klim’s Journey Under the Ground will not be the most thrilling and captivating narrative you ever read in your life but published in 1741 large parts of it reads as rather progressive even today, and that alone makes for an interesting read.